Desirable and Private Location in the community with mature trees and Wonderful Amenities! 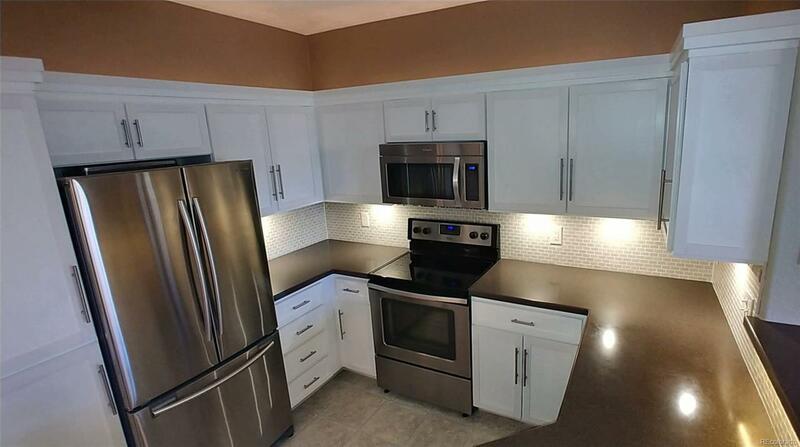 Detached Garage with Custom Storage Cabinets PLUS, Additional Deeded Parking. Recently Updated with Elegant Finishes. Walk in and enjoy the feeling of spacious 9-ft Ceilings, Stainless Appliances with Under-Cabinet Lighting, and crisp white cabinets throughout. Marble-surfaced Gas Fireplace, w/ built-in universal Flat-Screen TV Mount. Upgraded Bathrooms offer New Fixtures, finished with Marble Floors and Polished Stone vanities. Extremely Efficient Heating Unit; works w/the hot water heater and filtration system, creating less-dry, Cleaner Air. The covered balcony is ideal for relaxing after a long day and enjoying a sunset over the mountains. Year-round Spa/Hot Tub & Workout/Fitness Facility. Steps from the Highline Canal Bike Path/Trail and Walking Distance to the Writers Park, Shops & Day Care Facility. Close to C-470 & Light Rail, an easy commute to the mountains, DTC and Downtown Denver!